"My ultimate dream is to compete in and win the Solo round the world ocean race, the Vendee Globe." 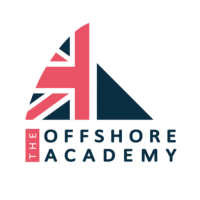 At 22 years of age, Will Harris is the youngest member of the Offshore Academy. Will started sailing at the age of 10 initially competing in Olympic pathway dinghy classes such as the Optimist, Laser and 29er. He represented Great Britain at multiple World, European and National championships and in 2009 was national champion of the Laser 4.7 Dinghy class. In 2013, Will Harris got selected as one of the members of the part-time development squad. A position he would keep in 2014 and 2015. The 2016 season marked Will’s debut as a solo offshore sailor, and he rapidly proved that the 3 years he had spent training on the 33 footer had been useful. He finished first rookie and first non-french at the Solo Concarneau with a 6th place. At the Solo Maitre Coq, he once again finished first rookie ranking 7th overall, and at his third and final preparatory race before the Solitaire - the Solo Normandie - Harris finished 8th. On the 2016 Solitaire - his first participation - Harris battled fellow rookie Quiroga until the end and came out victorious. His 8th place in the final Leg (his first top 10 result on the Solitaire) assured him the First Rookie position, and 17th overall. Which Elliot Brown Watch is for you? The Bloxworth in black and white. It's very robust and solid, making it perfect for all the sailing, surfing and other sports I do. The subtle colours mean I can wear it for formal occasions too. Most loved item of Musto kit? My smock, it has made such a difference to my offshore sailing especially in those really wet and windy races. The hood and collar basically create a tent around your head so you can be on deck for hours without getting cold waves in your face.